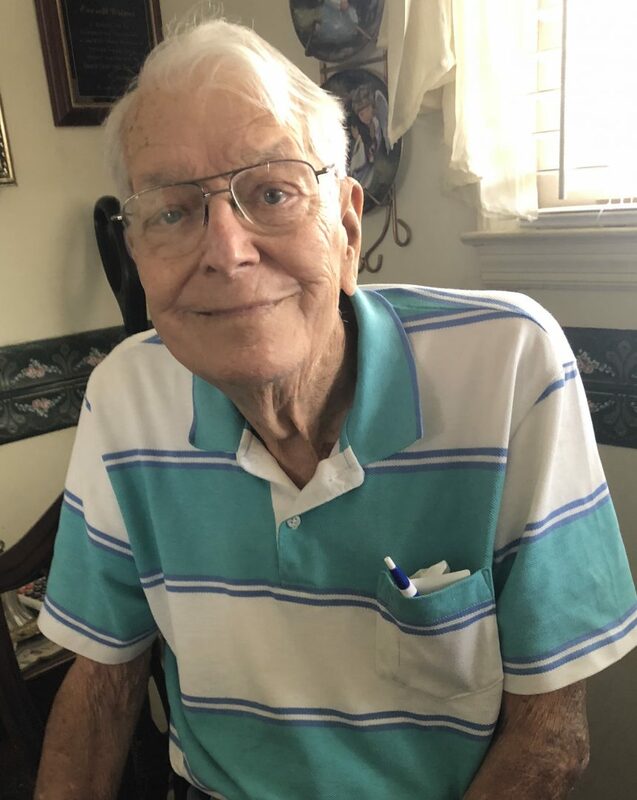 We announced before the end of 2018 that our well-known Southeast AgNet commentary host of “Agri-View” Everett Griner, now 92, would be retiring. We appreciate the well wishes we received for Everett since that announcement. He is resting well in his home in Moultrie, GA.
We were also pleased to hear that Georgia Public Broadcasting (GPB) picked up on his story and its historical significance. Around the first of the year the GPB team did a nice radio interview and website piece about Everett. Follow the link below to take a listen. Additionally, we recently heard from the folks at the University of Georgia Library, who collect stories and materials significant to the history of Georgia, that they plan to include Everett’s life story and his farm broadcasting history in their official Georgia historical archives. These are great honors for a man who has become a legend to those who have listened to his farm broadcasts for decades throughout Georgia and the deep Southeast. The AgNet team continues to run into people in our travels who tell us they have enjoyed Everett’s commentary insights, as did their parents and grandparents before them. If you have a message for Everett please email us at office@agnetmedia.com and we’ll be sure it reaches him. More than two-thousand of his audio commentaries are permanently archived on this website. Click on this link and enjoy!